Following a national search, Dr. José M. Torres has been selected as the new President of the Illinois Mathematics and Science Academy (IMSA). 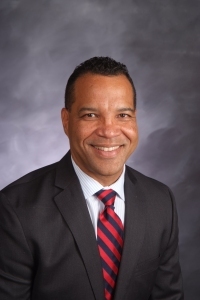 Dr. Torres has served in various leadership roles, such as Superintendent of Schools in Elgin School District U-46, Regional Superintendent/Area Instruction Officer in Chicago Public Schools, and as the only superintendent on the Federal Equity and Excellence Commission of the United States Department of Education. Dr. Torres was recently recognized for his achievements and leadership toward educational equity and excellence in receiving the 2014 Dr. Effie H. Jones Humanitarian Award from the American Association of School Administrators. Torres is one of only three educators in the U.S. to receive this prestigious award. Dr. Torres earned his Bachelor of General Studies, Master of Education, and Doctor of Philosophy in Educational Administration from the University of Maryland. He currently lives with his wife in Elgin. The IMSA Board will vote to employ Dr. Torres at its meeting on August 20, and he will join IMSA’s staff in September. Dr. Torres will be succeeding Catherine C. Veal, who served as Interim President after Dr. Glenn W. “Max” McGee retired last summer. The internationally recognized Illinois Mathematics and Science Academy® (IMSA) develops creative, ethical leaders in science, technology, engineering and mathematics. For more information, visit http://www.imsa.edu.